Paris may be where the arts are, but Lyon is where the Euro is. Home to France’s banking industry, Lyon is the third largest city in France after Paris (four hours north) and Marseille (three hours south) and the capital of the Rhône-Alpes region, making it a great base from which to see Eastern France. Book Lyon motorhome rental or campervan hire online; and compare companies like Avis Car-Away Motorhome Rental, McRent France, Pure Motorhomes, Blu Rent and Black Sheep RV Rentals. Your vehicle will take you around this marvelous city, as well as to the more remote surrounds, where you can sample the best food, culture and natural beauty that the region has to offer. While Lyon is conveniently situated as a pitstop on the way to the Alps, the Mediterranean or else on to the South of France, spend some time in your Lyon motorhome rental and get to appreciate the area as a destination on its own. Lyon’s climate is “semi-continental”, and although you can expect snow and relatively hot summers, it’s nothing too extreme. Your campervan rental in Lyon will allow you to really savor the unique delights of the French countryside. Lyon was historically founded by the ancient Romans – take your RV rental or campervan hire in Lyon and visit some of the UNESCO heritage sites or soak up the quintessential French experience in any of the smaller communes and towns just outside the city centre. These charming neighborhoods can be accessed by your camper rental in Lyon, where you can then throw away the guide book and stroll down any avenue that captures your interest. Before you venture out of the city; find yourself a copy of Le Petit Bulletin or Lyon Poche for good maps and a list of cafes, events, cinemas, libraries, opera houses and campsites in the area. The Institute Lumiere, dedicated to the inventors of modern film, is only 10 minutes from the city centre in your camper hire in Lyon. A pleasant 45 minute drive from the city centre in your Lyon campervan hire; and you’ll find gorgeous campsites in the Rhône valley. If you’re feeling adventurous, let the Rhône River be your guide. Follow it south as you park your RV rental in Lyon and explore the quaint towns and parks dotted along its banks. Most notable are Arles and Avignon about three hours out. 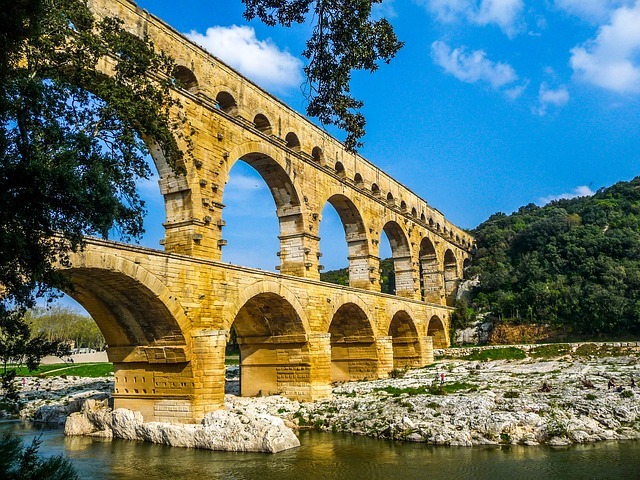 Both are on UNESCO World Heritage list: Arles for its Roman treasures and sun-baked houses that inspired Van Gogh, and Avignon for its 800-year-old stone ramparts and ancient cobbled streets that was once the seat of papal power. From here, the historic Mediterranean port and pulsating beach and nightlife of Marseille is a little more an hour farther south. Alternatively, you can make your way east to the Alps by Lyon motorhome rental; stopping by charming towns and cities along the way. The quaint lakes of Annecy; the historic seat of the Dukedom of Savoie at Chambery; the quintessential Alpine village of Chamonix at the base of the Alps’ highest peak, Mont Blanc; and the postcard-worthy French mountain village of Samoens are all under three hours out of Lyon. Naturally, no trip to France is complete without a sampling of the local gastronomy. Hunt down any of Lyon’s famous provincial bouchons, or traditional restaurants. Here you can indulge in the local salade lyonnaise with bacon, croutons and poached egg.